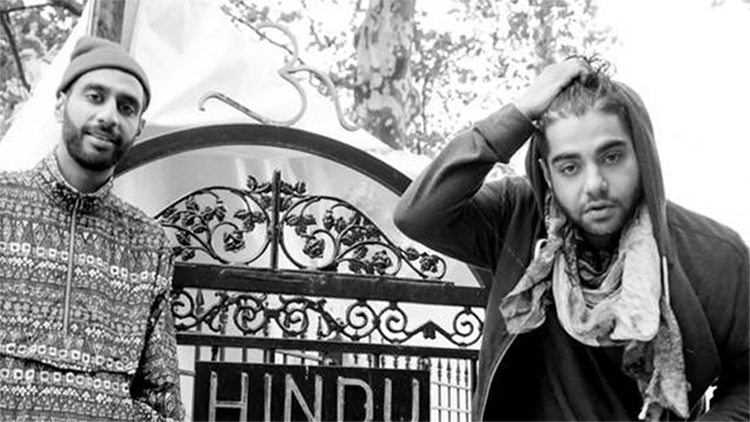 Himanshu Kumar Suri aka Heems is an American rapper from Queens, New York. Best known for being part of the alternative hip hop group Das Racist, Suri is also the founder of Greedhead Music, an independent record label. In 2012, Suri released his first solo mixtape, Nehru Jackets on his Greedhead imprint and in conjunction with SEVA NY, a community-based organization from Queens of which Suri is a board member. Heems’s second mixtape, Wild Water Kingdom, was released on November 14, 2012, also on the Greedhead label. It features production from Harry Fraud, Keyboard Kid, Crookers, Beautiful Lou, Le1f, and Lushlife. Guests on Wild Water Kingdom include Childish Gambino and Lakutis. This is Heem’s first solo show in the UK since Das Racist broke up at the end of last year. Raised in Nottingham, England; Capital R is more than just a rapper. He is a multi-talented songwriter, rapper, producer, sound engineer & more.. By utilizing dynamic underground sounds, Capital R infuses percussive beats mixed with cross-over commercial appeal that creates a recognisable signature sound. With an almost effortless mix of underground & commercial styles alike; Capital R yields this with an alchemical blend of lyrics inspired by life and experience which he has drawn from by having lived in 3 of the UK’s most vibrant & multi-cultural cities: His home city of Nottingham, Leeds & London. Location: C.A.M.P (City Arts & Music Project), 70-74 City Rd, EC1Y 2BJ. London you don’t know how lucky you are! 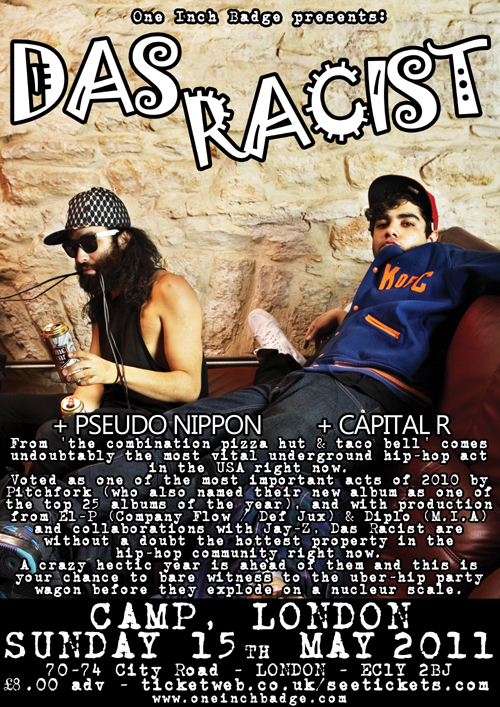 The legendary PSEUDO NIPPON plays his first live show in months in support of the one and only DAS RACIST! Mind-bending samurai-sword wielding J-Pop, glitch, and live electronica. Having released his incredible sounding UK Hip-Hop debut EP ‘The Enigma’ in 2010 to a fantastic response, this multi-talented Rapper, Sound Engineer, Producer & more has been described as “UK Hip-Hop’s best kept secret.” – He may not be so secret for much longer!